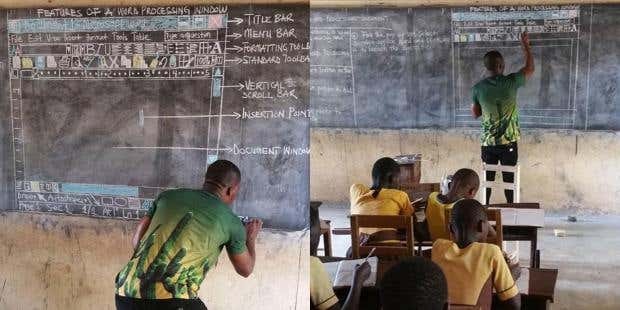 Since the post on Facebook Mr Akoto has received many offers of help, computers, software and projectors. Wired has an interesting article that shows how even at the recruiting level the prevailing atmosphere and attitudes discourage women from entering tech. DigitalTrends has a short but useful article describing sound cards. And another describing Thunderbolt connectivity. MyBroadband details how SA retailers are dealing with the shortage of GPUs - because cryptocurrency miners bought more than 3 million GPUs globally last year! Htxt.co.za has a link to a game that can teach your kids how fake news is created and spread. Top 500 Supercomputers details how AI beats lawyers at contract reviewing. Using Black Panther as a springboard Engadget looks at how the proliferation of CG is resulting in overwork, lower salaries and poor quality scenes.